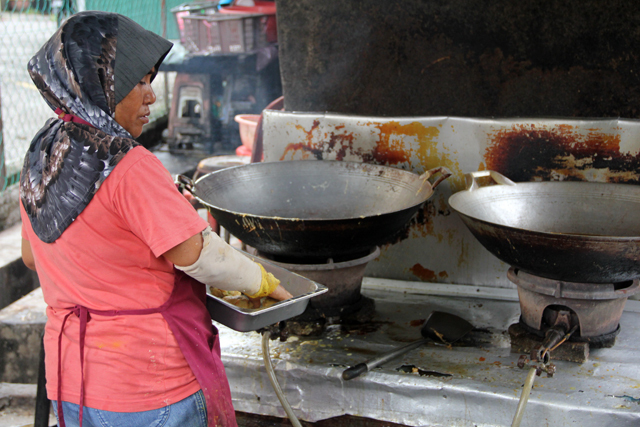 Nasi Campur is normal, everyday Malaysian food. Yet even though it may be common and nothing out of the ordinary, somehow a meal of nasi campur is one of the most satisfying meals I can think of… in the world. Ever since my first experience with nasi campur in Indonesia, I’ve been an addict. 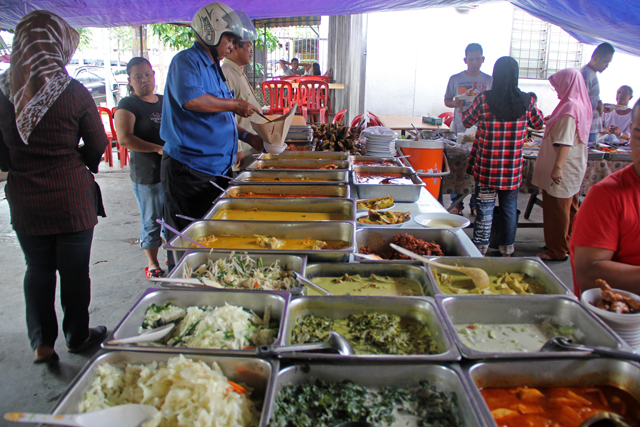 Perhaps because it’s often setup as a buffet – a self service meal where you’re handed a plate of rice and it’s up to you to navigate the buffet line and pile on whatever looks most tempting. 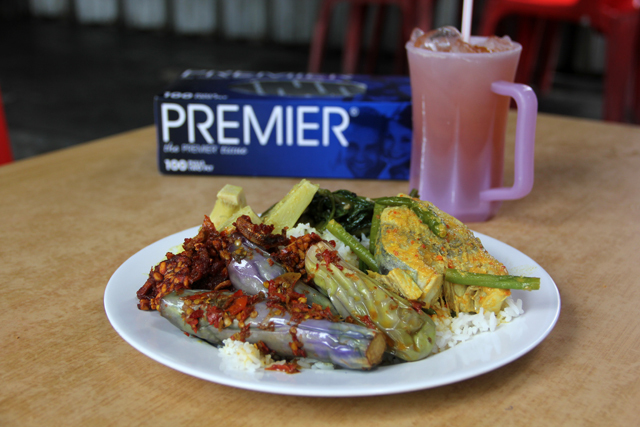 But unlike a buffet, nasi campur is normally just a single plate meal deal. Of course, one could pay for an extra plate of food, but without paying extra you can’t just keep returning to the buffet. I know if nasi campur in Malaysia was a one-price-all-you-can-eat kind of thing, I would hardly be able to control myself. Just one plate, piled high, is perfect. This visit to Kuala Lumpur, with more time than the last 12 hour binge visit, I found myself drawn time and time again to Kampung Baru, the local Malay, lesser developed area of town. 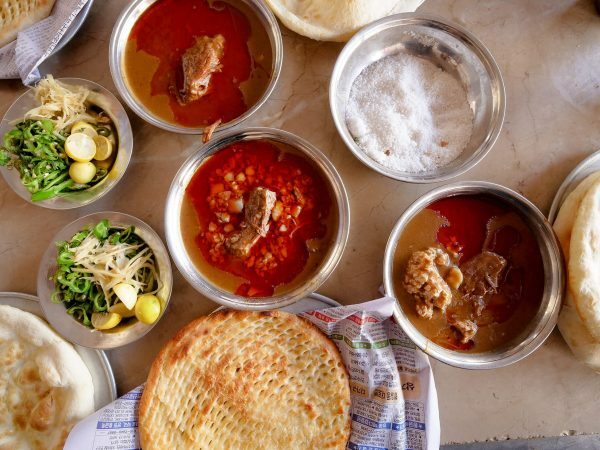 It happens to be a neighborhood gastronomical paradise and the food is pure home style cooking. 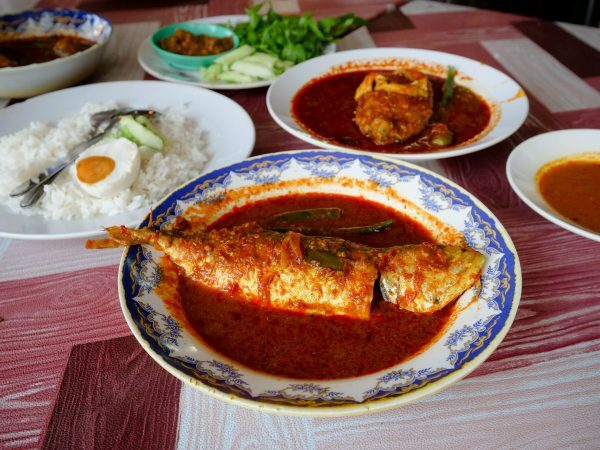 Nasi lemak, nasi campur, ikan bakar grilled fish, roti flatbread canai, versions of Malaysian laksa and other delicious Malaysian foods are in large supply throughout Kampung Baru. 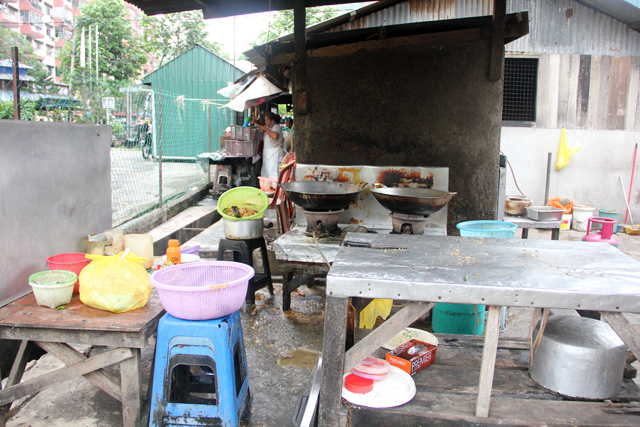 Partly covered by the extended patio of their home, partly sprawled into their backyard and sheltered by makeshift tarps, this nasi campur stall, known as Lina Sea Food, included a few of the positive attribues of any good street stall. Over 80 buffet style nasi campur dishes to choose from! My jaw dropped as I peeked over the buffet line. I’ve seen some nasi campur stalls and Thai khao gaeng stalls, but this display of cuisine was no short of awe inspiring. YES, I felt the urge to count – and the ladies were still cooking more in the kitchen! It took a little browsing, but finally I had a plate I was proud of. A thick piece of fish curry, some stir fried veggies, seared purple eggplant in sambal chili sauce and the ever so delightful young jackfruit curry. I’m a jackfruit curry enthusiast. 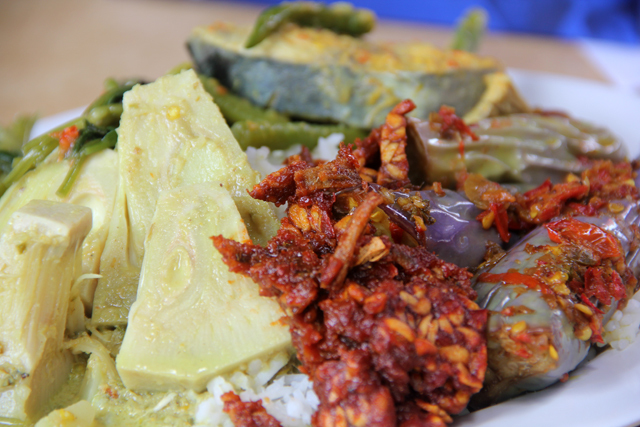 The Philippines, Indonesia, Malaysia and Sri Lankan food all have unique and wonderfully tasting versions of jackfruit curry. Topped with a few scoops of chili fried tempeh, a traditional soybean crunchy fritter, I was quite happy with my selection. The smiling ladies at the restaurant saw my enthusiasm for their cuisine and invited me back to the kitchen. This is where the magical cooking happened. 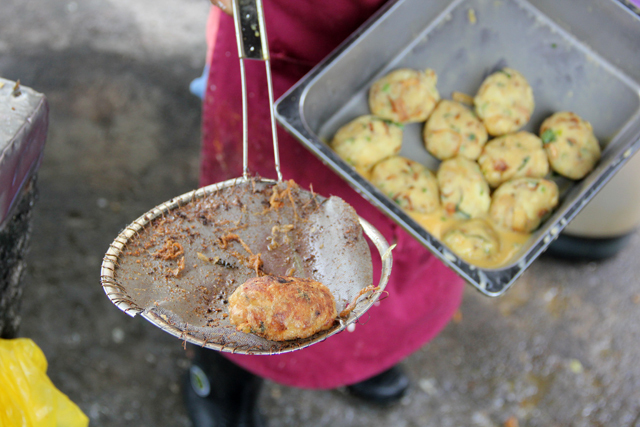 Next on the menu, about to be added to the still growing 80 plus dishes already served, were deep fried potato cakes. Right off the strainer, into my mouth! Literally, right out of the oil and straight from the strainer. 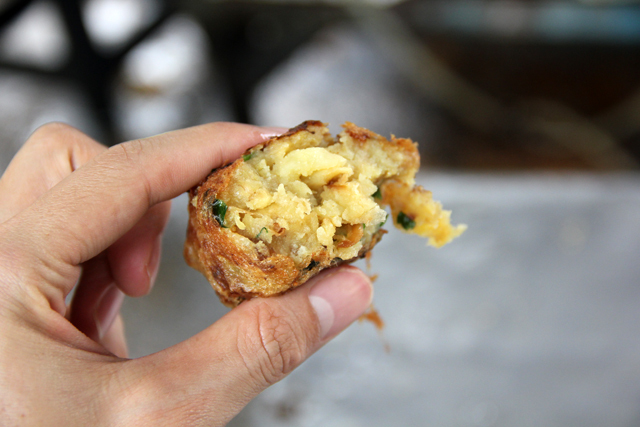 They were about the size of eggs, mashed potatoes mixed with a vibrant selection of spices, nicely salted, and finally deep fried to a crisp on the outside. Despite being a little on the greasy side, it was absolutely mouthwatering delicious. 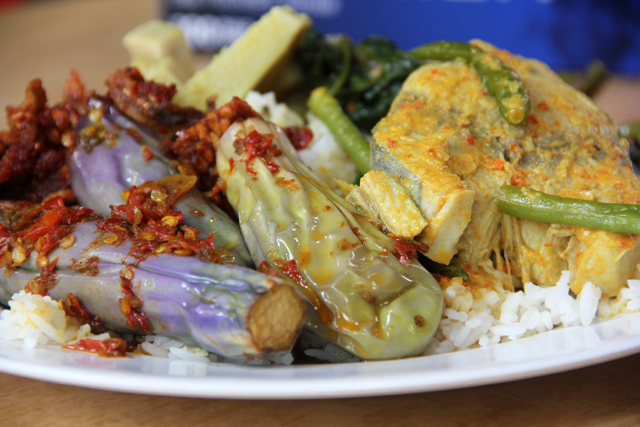 Even though nasi campur may be as normal as Malaysian food can get, the home cooked dishes, the diversity of ingredients, and the vibrant flavors, make it always a winning meal! 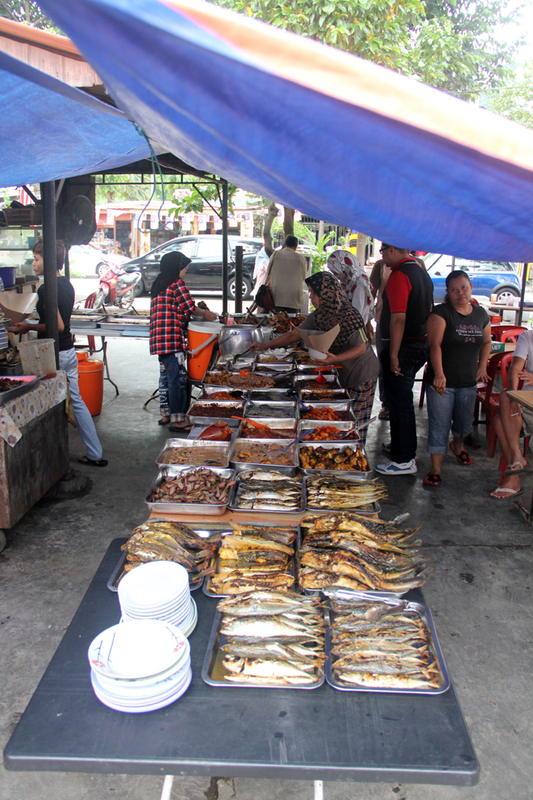 I think the one called Ikan Bakar something has OVER 80 dishes of nasi campur to choose from! I wanted to try all but ended up eating the same fav. food everytime. LOL! Where is this located? I have to visit it in March !!! Hey Catherine, this is located in Kapmung Baru. Enjoy! 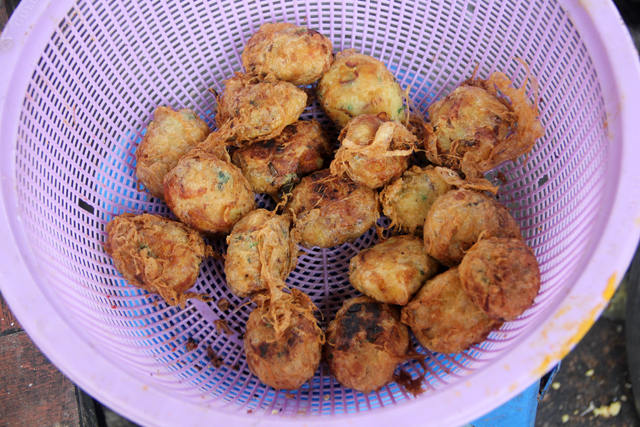 Hi Mark, the Malaysian style deep fried potato or Golden nuggets called as “Begedil” in Malaysia. You sholud try “soup gearbox” and Mentarang Bakar, its really delicious. Hey Delima, great thank you for the tip! 80 different dishes?! That’s torture! Haha. We (Filipinos) have a similar jackfruit curry. One of my favorites. Then again, anything with coconut milk is my favorite. Haha. Delicious post! 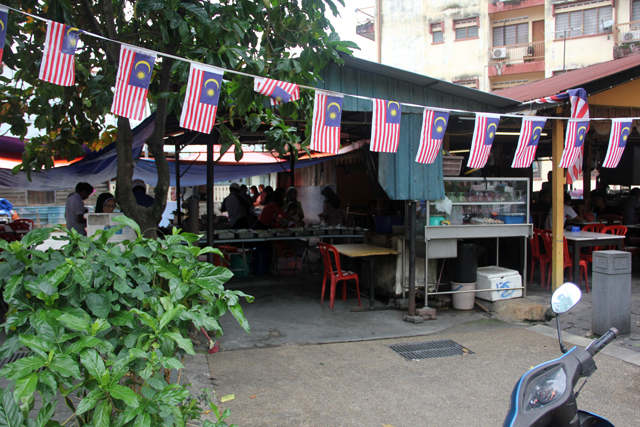 i have had Nasi Lemak in Kampung Baru, and it was the best I’ve ever had. I’m sure that Nasi Campur will be even more delightful where you will be spoilt for choice. I can’t remember the store’s name since it was quite a few years back. 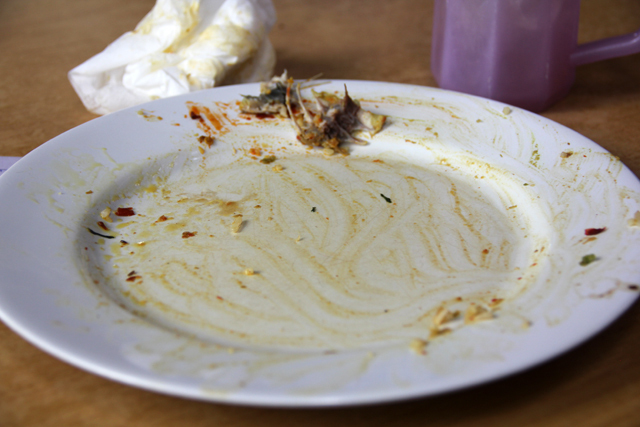 However, I do remember that the nasi lemak was awesome! Also remembered that there was a decent queue and long dining tables. Ok, cool! Next time I’m back in KL will look for that place too. Frankly speaking, after being in existence for 40 years in Malaysia, I haven’t gone through all the 80+ dishes (not counting those cooked in rural Malaysia kampung). I shall await your final deciphering of all the dishes in Southeast Asia. Keep it coming! Fell in love with Malaysian food after my trip this past summer. Can’t get enough!! When I was in Kampung Baru though, everything seemed very… closed. I was pretty disappointed and thought maybe I was mislead by the information I read online. Now this post makes me: 1) realize how wrong I was, 2) angry that such deliciousness was withheld from me and 3) want to go back! 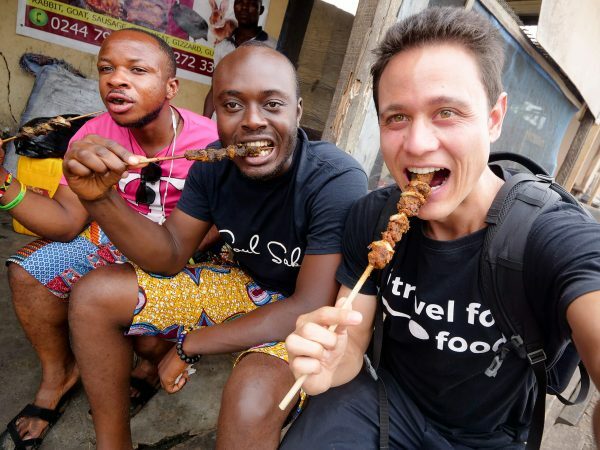 Hey Dan, glad you also fell in love with Malaysian food. Hmm, sorry things looked closed when you went. 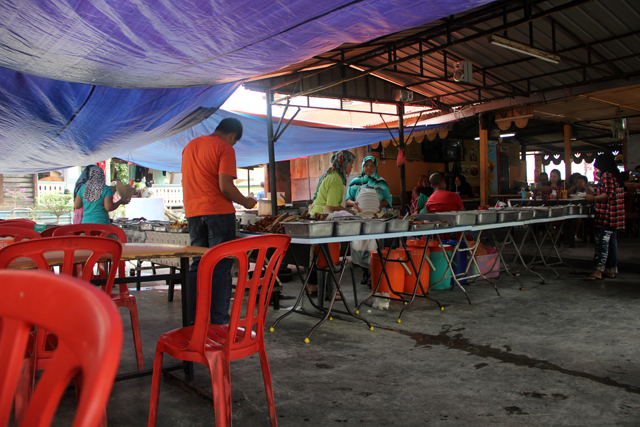 Every time I’m in KL I normally head to Kampung Baru during lunch and everything is open. Also restaurants are open during the evening. Check it out again next time! 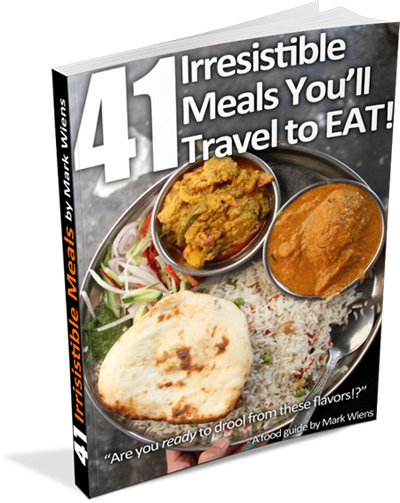 Hey Karima, I can’t wait to visit Penang and eat soon! I love Malaysian sambal! should try nasi kandar. same concept, more flavour, much more expensive!! haha. i miss malaysian food!!!. Yes, I do love nasi kandar too! Mark, every photo (apart from your non-food photos that is) looks like the most flavoursome thing we will ever eat. I would have just been right in my element working my way through all of this! Can’t believe the ladies were still cooking more. Thanks a lot Julia, I was impressed by the amount of dishes as well! What a spread! Great concept with the one plate, costs less than all-you-can-eat but more importantly it’s much healthier to eat a normal sized meal than to lose control (like I do in those situations) and overeat. That way you don’t end up feeling beyond full, causing the need for extra rest later in the day. I really agree Mike. I tend to go way overboard when it comes to buffets, so just having a single plate (but piled high) is good for me!